BMO Financial Group announced today the names of the three grand prize winners of the BMO Ultimate Fan Contest. 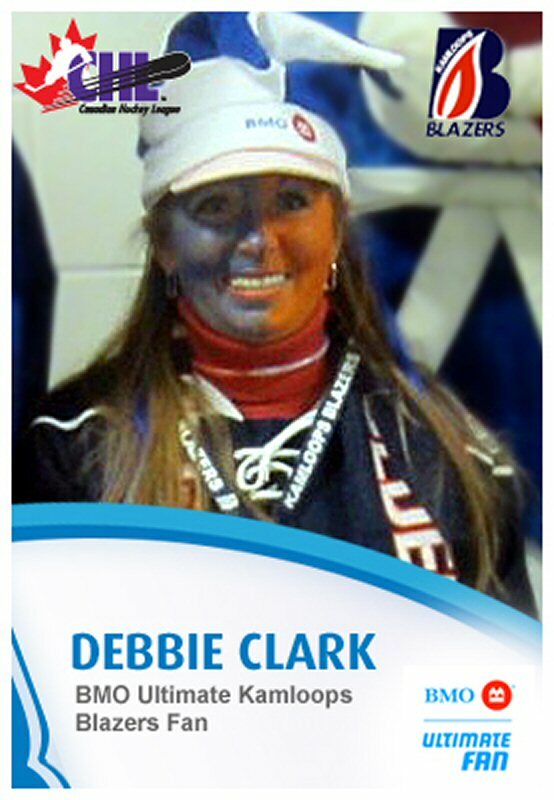 Each of them has won a trip for two to the 2013 MasterCard Memorial Cup in Saskatoon, Saskatchewan (May 24-26, 2013). Congratulations to Debbie Clark, BMO Ultimate Kamloops Blazers Fan; Chris Martin, BMO Ultimate Mississauga Steelheads Fan; and Troy Porter, BMO Ultimate Moncton Wildcats Fan! 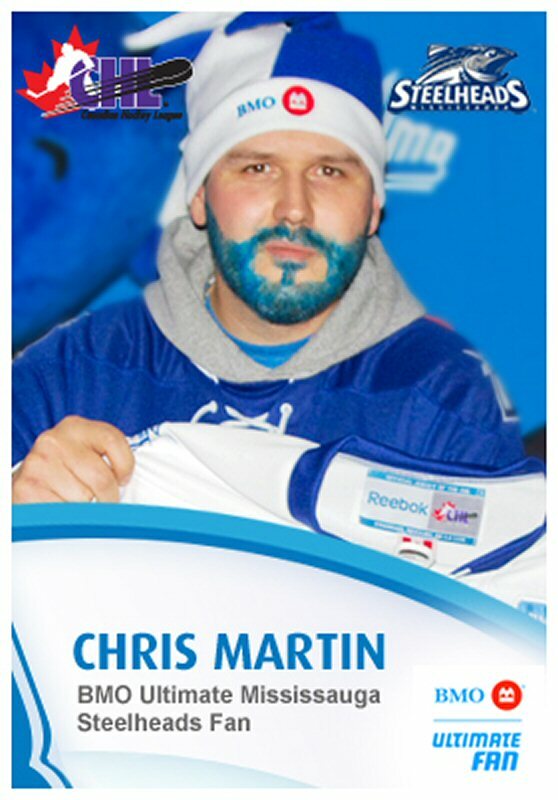 As the official bank of the Canadian Hockey League (CHL) and its member leagues and teams, BMO held a series of Ultimate Fan Appreciation Nights in 40 CHL hometowns during the 2012/2013 season. "The BMO Ultimate Fan Appreciation Nights highlighted the amazing spirit and team loyalty that CHL fans have across Canada," said Justine Fedak, Senior Vice-President, Branding, Advertising & Sponsorships, BMO Financial Group. "We look forward to experiencing the 2013 MasterCard Memorial Cup with all three winners as they celebrate with the passion and enthusiasm found in each one of their hometowns." Each team encouraged fans to attend a BMO Ultimate Fan Appreciation Night during their local hockey game and show their fan spirit by dressing up in their team's colours, jerseys and costumes. One fan was recognized at each event as their local team's BMO Ultimate Fan and entered for a chance to win the grand prize. 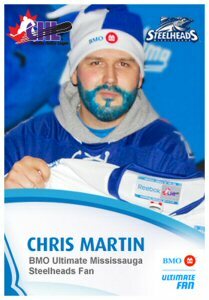 "On behalf of the Canadian Hockey League I would like to congratulate the three lucky winners who were among the hundreds of passionate fans who showed support for their favourite CHL teams at BMO Ultimate CHL Fan Appreciation Nights across the country this season," said CHL President David Branch. 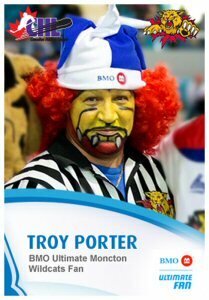 "We look forward to seeing the same passion from our BMO Ultimate CHL Fans at the 95th edition of the MasterCard Memorial Cup this May in Saskatoon, SK." BMO Financial Group is the official bank of the Canadian Hockey League, as well as its member leagues: the Ontario Hockey League, the Western Hockey League, and the Quebec Major Junior Hockey League. The sponsorship builds on BMO's partnership with the CHL of more than 10 years and affirms BMO's exclusivity as a financial services sponsor of the league in the retail banking category. It also engrains a presence with the 48 teams who currently participate in the BMO CHL Affinity MasterCard program, which enables CHL fans to support their favourite teams through branded credit cards. For more than 195 years, BMO Financial Group has believed in community reinvestment and corporate and social responsibility in the communities it serves. In 2012, BMO contributed more than $87.6 million in donations, sponsorships and events in Canada and the United States to groups, organizations and programs that help build and sustain resilient, vital and healthy communities. The Canadian Hockey League is the world's largest development hockey league with 52 Canadian and eight American teams participating in the Ontario Hockey League, Quebec Major Junior Hockey League and Western Hockey League. CHL players graduate from high school at a rate higher than the Canadian national average. Last season, more than nine million fans attended CHL games in the regular season, playoffs and at the MasterCard Memorial Cup. The CHL supplies more players to the National Hockey League than any other league. Last season 636 graduates attended North American post-secondary institutions on scholarships from CHL teams.